Fascinating! And stingers used on neck heels are cool as well. 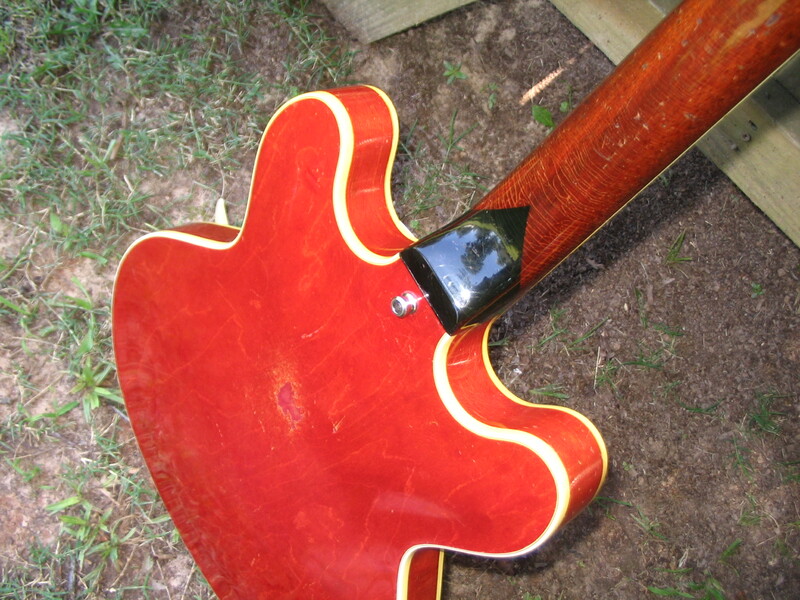 I briefly had a ’59 355 with a veneer overlay on the back of the headstock, then painted in the overall cherry red. 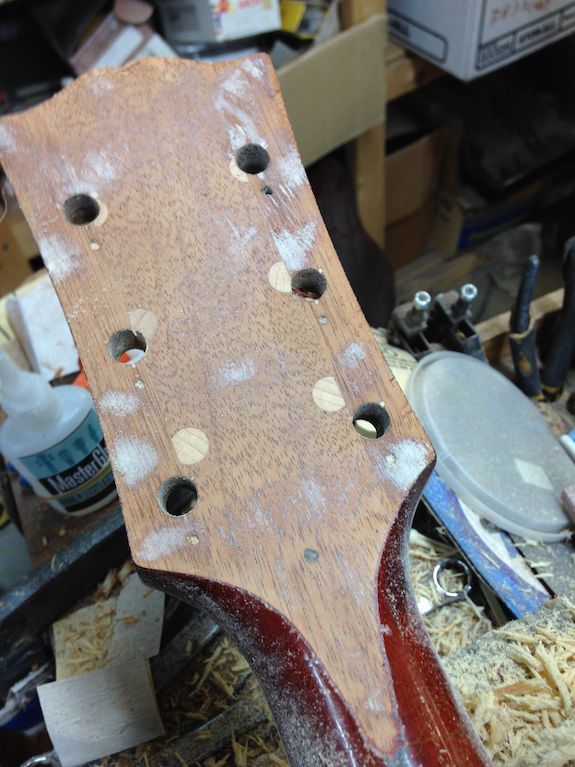 The veneer was sort of oval contour where it tapered into the neck. 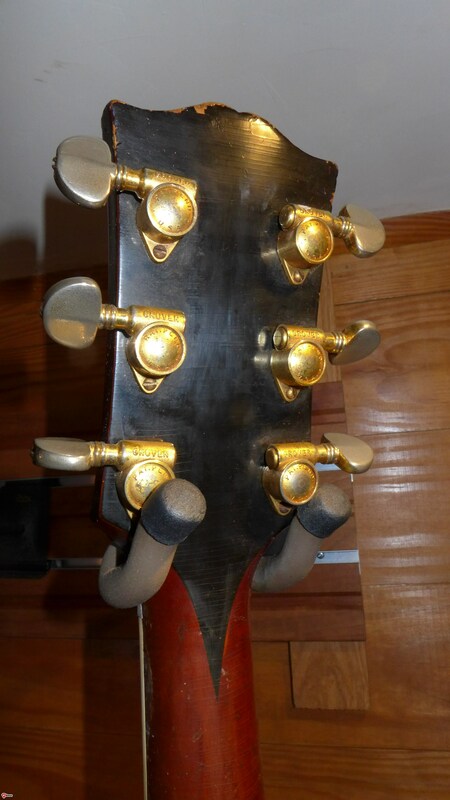 Looked like way too modern of a repair technique, likely for a cracked headstock! Arg! No way could that be factory I thought! Up until then I’d only seen the black painted stingers! Well, as you continue to educate, those Kalamazoo folk can be quirky! I, much later, realized the veneer was “100% jake” (as Gil would say!) when I saw another ’59 355 with the identical veneer treatment! Thanks for your sleuthing. I will now view my bestingered 62 sunburst 355 in a new light. I was consulted on the purchase of this one and was next in line for it if the current owner passed. I would have bought it in a heartbeat. Only issue was Schaller holes, if I’m recalling the conversation. The fact that it was supposed to be a first rack 345 is pretty interesting. Also, the fact that it has an October serial number is noteworthy since it was built in April. 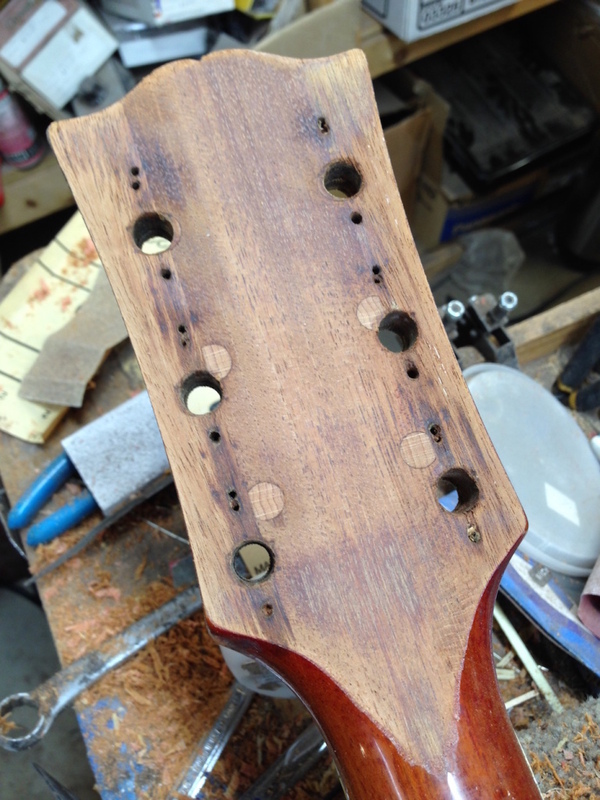 Interesting, maple plugs used to fill the 335 dimension tuner holes? I would guess that maple is coincidental. Probably made from any convenient sized dowelling? Everybody knows that maple plugs are brighter with more “snap” than mahogany plugs. And Eastern maple is even “snappier” than Western. Don’t you guys retain anything? Great detective work on the stingers! Interesting that this slightly cheapskate move happened from time to time on the top of the line model. Are we to assume that this is the sole reason why stingers exist on some Gibsons? Or are some stingers just black paint, as opposed to veneer and paint? (I’ve never seen one up close). Not wanting to be distracted too much from the subject of the thread, but that black 59 335 is off the hook! My ’68 has a heel stinger. I don’t know what prompted that, and don’t care. It’s just one more cool Gibson thang to enjoy.